Now, you can file your returns online with the help of your Aadhar Card! Taxpayers no longer have to send a 1-page verification document i.e. the ITR-V to the Income Tax Department in Bangalore. Instead, they can verify their returns online with the help of an Electronic Verification Code (EVC). An Electronic Verification Code (EVC) is a 10 digit alphanumeric code which is sent to the registered mobile number of the tax filer while filing his/her returns online. It helps verify the identity of the tax filers. Such tax filers include individuals as well as Hindu Undivided Family (HUF). The individuals are required to self-verify their returns while the Karta must verify the returns of the HUF. An EVC can be generated through the e-filing portal of Income Tax Department. In order to e- verify your returns using an Aadhaar card, please make sure that your Aadhar card is linked to your PAN Card. Follow these steps to link your Aadhar card to your ITR. Log on to the Department’s e-filing website. 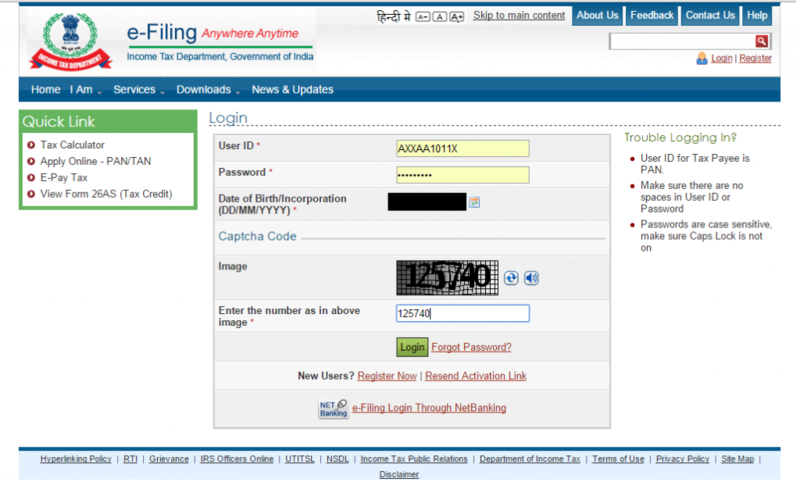 As soon as you log in, a popup appears asking you to link your Aadhar number with your e-filing account. If you don’t see the popup, go to the blue tab named ‘Profile Settings’ on the top bar and click on the ‘Link Aadhaar’ button. 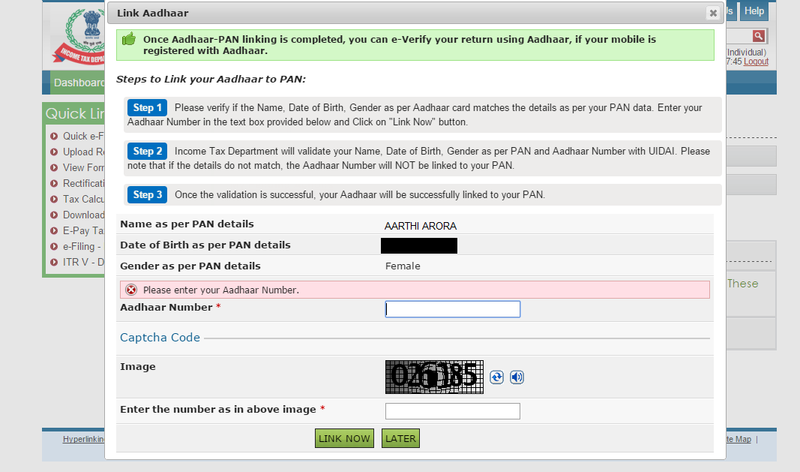 Your Aadhar number will be linked to your PAN after validation. Step 1: Upload your ITR through the Income Tax e-Filing website. Step 2: Once this is done, you will be asked for the mode of verification for your returns. I do not have an EVC and would like to generate EVC to e-Verify my return. Select the 3rd-option that says – generate Aadhaar OTP. A one-time password will be sent to the mobile number registered with your Aadhaar; this OTP will be valid only for 10 minutes. You will then receive a message that reads ‘ ‘Return successfully e-Verified. Download the Acknowledgement.’ The same acknowledgement will be automatically sent to your registered email id. You have now successfully e-filed and e-verified your income tax return.